Do you want to Apply online for UPSC IES Application Form 2019??? If yes, then you visit a right place. Union Public Service Commission has released IES/ESE Notification 2018-19. There are 581 Engineer vacancies. 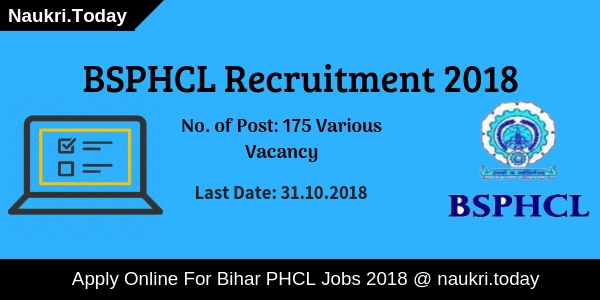 Applicant who are interested and fulfill eligibility criteria also may apply through online mode only. UPSC ESE Recruitment 2019 apply online link is activated on 26.09.2018. Aspirants can fill their application form till the last date i.e 22nd October 2018. Those candidates have the engineering degree in relevant trade are eligible to fill UPSC IES Vacancy Online Form 2018. The examination of prelims will be held on 06th January 2019. Furthermore, you can collect to readout full article properly. Union Public Service Commission is inviting online application for recruitment of 581 Engineering Service Vacancies. This is a great opportunity for candidates who are looking for Central Govt. jobs. UPSC IES Recruitment Notification 2018 has been released on 26.09.2018. Applicants can fill UPSC ESE Application Form 2019 till on last date i.e 22.10.2018. Rest information such as what is the eligibility criteria of UPSC Engineering Services Recruitment 2019? Selection Process, application fees and apply format are mention below. Candidates must read all information carefully before going to apply for Union Public Service Commission ESE Jobs 2019. 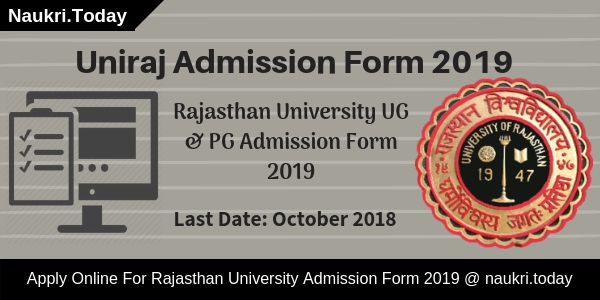 Latest update as on 18.10.2018: Dear Applicants, If you are interested and eligible to fill the online form of UPSC IES 2019 then you can apply online from here before the last date 22.10.2018. For more information visit here regularly. Latest update as on 09.10.2018: Union Public Service Commission Online Form for IES 2019 Examination. Those candidates are interested and eligible and not filled the online form yet can apply here till the last date. In below section, you can collect all information regarding this. Latest update as on 06.10.2018: Dear Applicants, You can submit your UPSE IES Online Application Form till the last date 22.10.2018. The direct link to apply online for Engineering Services vacancies is available at the end of the article. Summary of UPSC IES Application Form – What is the Highlights of UPSC IES/ESE Recruitment 2018- 2019? Important Dates of UPSC IES Application Form 2019 – What is the Last date of Submission UPSC ESE Online Form? Union Public Service Commission every year conducted All Indian Engineering Level Exam. Also known as IES/ESE Exam. The examination is organized for Candidates those have complete their degree/diploma in engineering and want to jobs in Government of India. The notification for UPSC IES Application Form will be released on September 2018. Selection of candidates will be based on Preliminary Examination, Mains Examination, and personal interview. The department will conduct an examination on next year January. For more details check the full article and visit UPSC official site. UPSC IES Notification No. No.01/2018-ENGG. Those candidates are interested to apply online for UPSC Engineering Service Vacancy must ensure that they are eligible or not. You may check details of qualification, nationality, age limit and other parameters to check your eligibility conditions. Here in below section, we mention details of qualification and age limit. Read it and then go apply online for UPSC IES Application Form 2019. Details of UPSC IES Online Form qualification is mention on below points. Candidates should be passed Graduate Membership Examination of the Institution of Electronics and Telecommunications Engineering (India). M.SC Degree or equivalent with wireless communication Electronics, Radio Physics or radio engineering. Rest information check official advertisement of UPSC IES Application Form 2019. Candidates those are going to fill UPSC IES Online Form 2018 should have attained 21 years. Applicants maximum age is required 30 years as on 01.01.2019. Upper age relaxation is applicable for UPSC ESE Application Form 2019 as per govt. norms. Those candidates belonging to Jammu & Kashmir during the period 01.01.1980 to 31.12.1989 will also get 05 years maximum age relaxation. Furthermore. Check UPSC Engineering Services Notification. The selection procedure of UPSC IES Online Form 2019 comprises three successful stage. Stage I is the Preliminary Examination. After that qualified candidates will call for Mains Examination. The last stage of selection for UPSC ESE Recruitment 2018 is Personal Interview. Those candidates qualified the Mains examination will call for personal interview. Final selection of applicants will be made for marks secured in Main Examination and Interview. Get details of UPSC IES Prelims Exam & Main Exam Pattern and syllabus click here. Those candidates are going to apply for UPSC ESE Online Form also require to pay application fees. Male Category General & OBC Candidates have to pay Rs. 200/- for application fees. Participants can pay their UPSC IES Application Form fees either online or offline mode. If you want to pay fees through online mode may use internet banking/Credit Card/Debit Card. Those applicants want to pay by cash the system generated a pay slip. You must submit your pay slip at any SBI branch on next working day only. The last date of submission UPSC IES/ESE Recruitment fees through pay by cash is 21st October 2018. Other Female/SC/ST/PH candidates will not require to pay application fees. Applicants, those are qualified three stages of selection will appoint for IES post. After selection of the candidates, they will receive an attractive salary from the department. Check Official UPSC IES Notification for more details of monthly salary. Candidates who are interested and eligible also for IES/ESE vacancy may apply through online mode only. The online application form is already available there. The last date of submission UPSC IES Job online form is 22.10.2018. If you are going to fill the online form must have valid email id and mobile no. Applicants also keep scan copy of passport size photograph and signature. Now follow instructions to fill UPSC ESE Application Form 2019, which are as under. First of all, go to the official site upsc.gov.in. Download UPSC ESE Notification 2018-19. Now go to apply online portal upsconline.nic.in. Click on apply online for various competition examination. Now click on UPSC IES Application Form 2019. Click on Part –I Registration for UPSC Engineering Service Online Form. Enter your personal information and education information to collect registration no. After that login with registration no. and dob. Now Make payment of application fees either online or offline mode. Upload signature & photograph on UPSC ESE Vacancy Online form. Click on agreeing on the declaration for UPSC IES Online Form 2019. Recheck your application form and then submit it. Take the hard copy of UPSC IES Recruitment Application Form. 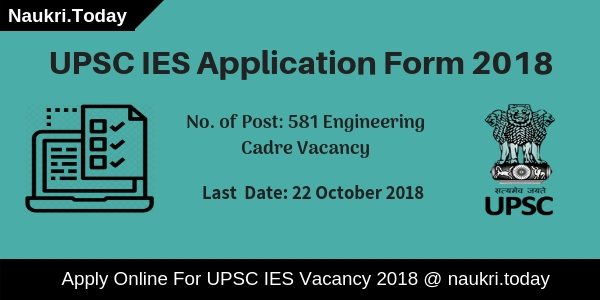 Conclusion: UPSC IES Application form 2019 for filling up 581 Engineering Cadre vacancies. Those applicants are interested and eligible may apply through online mode. The online application form of UPSC ESE Recruitment 2019 is available on official site as well as here also. Candidates can submit their UPSC Engineering Service Application Form till on 21.10.2018.